Yes: but control joints are placed for anticipated cracking. Control joints allow for movements cause by ambient and ground temperature changes cause by ambient and ground temperature changes caused by ambient and ground temperature changes and expanding and contracting of the concrete control joints are usually no more than 8-12 feet apart. Will the installation of reinforcement (wire mesh or rebar) within the concrete prevent cracking? No: Reinforcement will not prevent or even minimize cracking, but it may help hold the cracks together if they do occur. Wire mesh or rebar is used as a structural support where heavy loads or excessive traffic is expected. 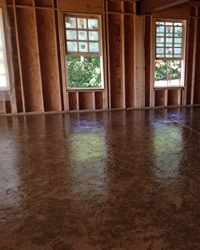 Typically concrete used around homes does not require the application and associated additional costs of any reinforcement. 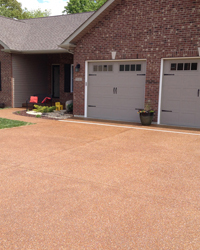 Clean and reapply sealer as needed generally, you should reseal a driveway every two years or so, or when the finish begins to show wear. 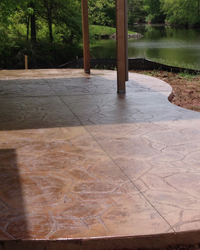 Good commercial sealers are available from concrete material suppliers. Avoid using deicing chemicals. As an alternative, use sand for traction. Avoid heavy vehicles (like a huge moving van). 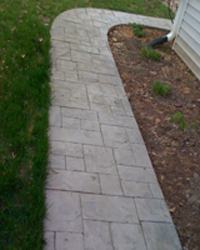 The typical residential driveway isn’t engineered to support heavy commercial vehicles. The new driveway can be driven on 7 days after it is poured. What is the coldest temperatures concrete can be poured in? A good rule of thumb is 35 degrees and rising (not dipping in the 20s at night). 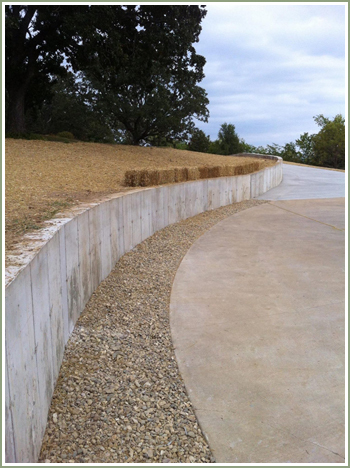 We do have special concrete curing blankets for projects that are on a schedule in winter. Do I need a permit from my city for my concrete project? If a permit is needed we will let you know. Every municipality is different also varies on the extent of the job.